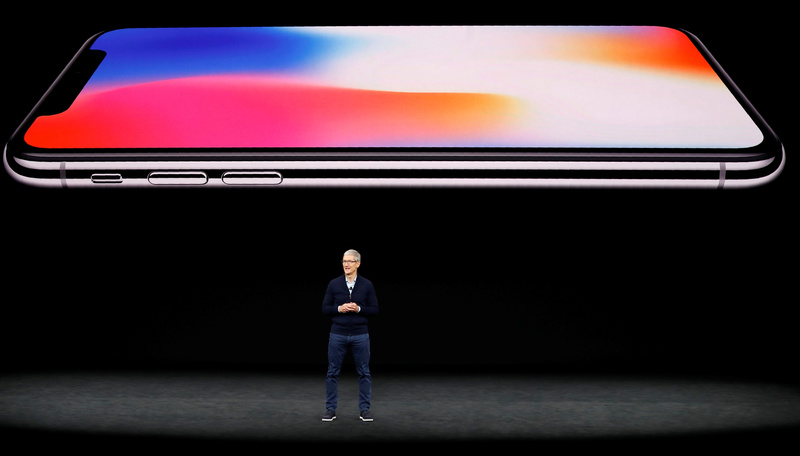 The smartphone market is mature, and soft demand for the $1,000-plus X model suggests the company led by Tim Cook has maxed out on pricing. Quarterly results show Apple can sell more accessories and services. But the lack of a hot product could start to test investors’ patience. Tim Cook, CEO of Apple, speaks about the iPhone X during a launch event in Cupertino, California, U.S. September 12, 2017. Apple on May 1 reported that revenue totaled $61.1 billion in the quarter ended March 31, up from $52.9 billion in the same period a year earlier and ahead of sell-side analysts’ consensus estimate of $60.8 billion, according to Thomson Reuters I/B/E/S. Earnings rose 25 percent to $13.8 billion. At $2.73 a share, earnings were five cents higher than the consensus estimate. The company also announced a new $100 billion share-buyback program and a 16 percent increase in the quarterly dividend, to 73 cents a share. It said it would complete a previously authorized $210 billion buyback program in the current quarter. The company sold 52.2 million iPhones in the latest quarter, up from 50.8 million in the same period a year earlier.